When we talk about vehicle tires sales in Clifton, VA it is important to focus on expectations, because tires, they are a'changing. To comply with mandated Corporate Average Fuel Economy (CAFE) standards set to tighten gradually by 2025, auto and tire manufacturers continue to explore alternatives to construct tires for improved road safety and fuel consumption. The National Highway Traffic Safety Administration (NHTSA) regulates CAFE standards, and oversees the testing and performance ratings of the increasingly refined tire market. In 1981, there were 161.5 million registered vehicles on U.S. roads. Gas flowed like water at $1.25 a gallon. That year gross U.S. tire sales reached $233.9 million. The radial tire, introduced in the early 1960's, was the standard bearer with a more stable ride, increased road efficiency, and more controlled cornering performance. In 2011, there were 249.8 million registered vehicles and gas became precious at $3.53 a gallon. We still managed to reach gross tire sales of $569.78 million. The last developmental milestone for tires came in 1991, when silica filler replaced carbon black. Suddenly, it was all about luxury and performance sales, and the market got very crowded. Not surprisingly, the 2012 Tire Review Dealer Profile Study shows 24.4% of vehicle owners replace OE tires with the exact same tire. But once customers are faced with a tire purchase decision, up to 1/3 of us will follow the recommendations offered by the in-house tire sales technician. Which, as it turns out, is smart. Today we have over nine sales categories and 30 separate types of tires on the market, including Max Performance, Extreme Performance, Ultra High Performance, On- and Off-Road All Terrain, Touring, and Crossover/SUV Touring All-Season. Yes, the choices are dizzying. Armed with information and your owner's manual, you too can navigate the complicated tire buying process. Find a local service center, trusted dealership, or tire discounter, and put their experience to work. 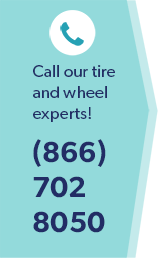 Their expertise in tire sales in Clifton, VA will assure you get the exact tires you need to keep you safe on the road.